I actually have those huarache sandals and they’re ridiculously comfortable. I’ve been walking miles and miles in them around the city. They don’t even need to be broken in! Thoughts? Which sandals are you wearing these days? 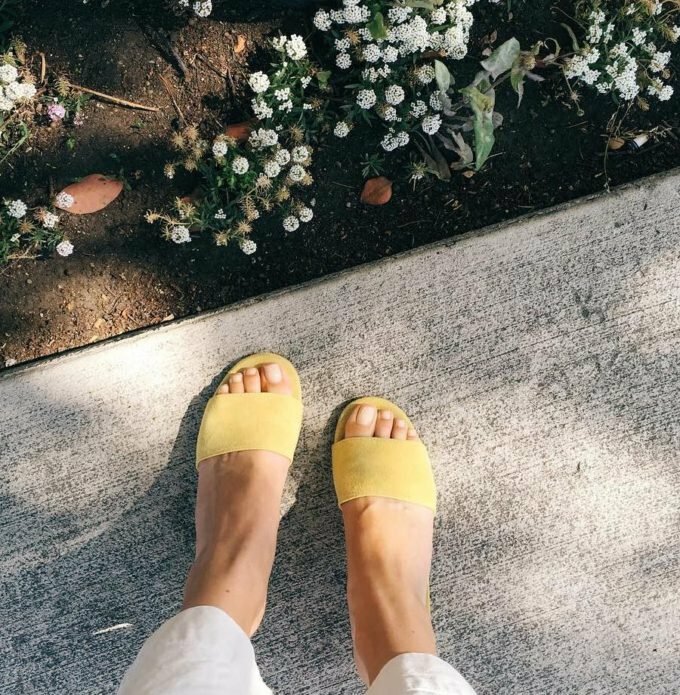 Nordstrom is having a huge sale this week — their sandals are marked way down, if you’re looking! 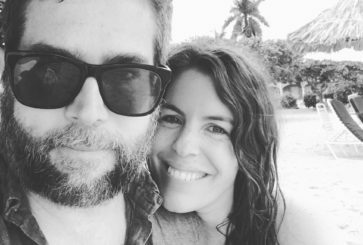 I revisited this post for some end-of-summer deals, and ended up buying the SeaVees Bayside Espadrille Sandal. I would have never thought to buy them on my own, but per your recommendation and the laid-back west coast styling on their site I decided they were just what I needed to finish off the summer. They got here earlier this week, and I haven’t wanted to wear any other sandal since! Birkenstocks! Everyone in Germany is wearing them, it’s something of a time-honored tradition (it might be the first real pair of shoes for some kids…) & I’ve finally invested and gotten them this summer. They’re comfy, cute and you can walk for miles! One of my American friend who lives in Austria just recently got her first pair and she was like… why did I wait for so long and why doesn’t everyone have a pair? So did I. I found that Steve Madden has a bunch of minimal flat sandals minus the cross front. Shoes like these are so versatile and surprisingly comfortable, despite the lack of support! If you keep your eyes peeled at thrift shops and such, you can find pairs for as cheap as $1 in new condition. Timely post! Would you recommend any of these for walking in Florida summer heat? (We are doing the Disney trip this summer and I’m looking for a cute yet comfy option). I need the arch support. I’ve also heard about Flexx…has anyone else? I have a pair of tan Flexx suede peep toes. I live in Kuala Lumpur where it’s hot & humid year round. Flexx shoes are incredibly comfy though I do rotate them with a pair of German Gabor promise sandals. I love sandals that cover the heels — I’m eyeing those huarache sandals!! Loving this post and all the comments! Thanks, ladies! Anyone know which Raen style those sunglasses are? I’ve been wanting those huaraches for over a year now, good to hear they are so comfy! These all look super comfy!! Love my 2 pairs of Pons !! The most comfy and versatile sandals ever! the “avarcas” that here in Italy we call “le minorchine ” (sandals from Minorca) are my fav, I have them in basic colors to wear with almost everything, get a pair in metallic shade and you’ll wear them everyday ;) and of course birks a good pair of biks save the summer! 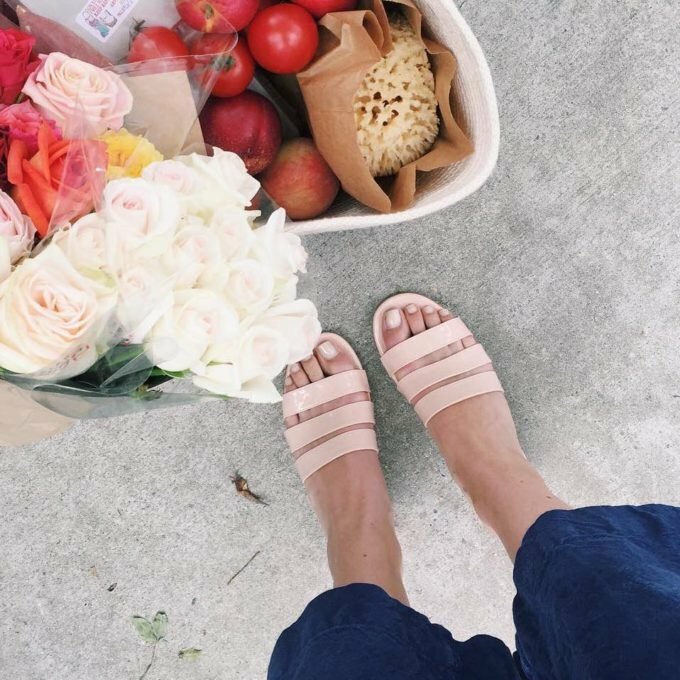 i have the espadrille ones you listed — they are SO comfy, and so chic! My favorite sandal to “get things done in” everyday are my birkenstocks! I love them. Once you break them in, they are super comfortable and sturdy! 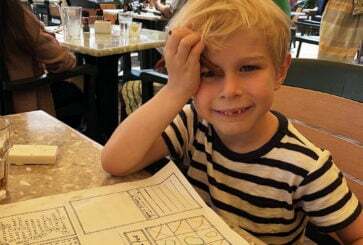 My mom friends turned me on to Mox flats. They’re like those jelly shoes we used to wear when we were little, but they’re made from rubber. I bought them for a recent trip to Hawaii. They are really comfortable AND cute, and I could wear them while running after my toddler. They also ship quickly and come in a bunch of colors. I highly recommend them for anyone, but especially for mamas! Love the Kelsi Dagger shoes. We think you must add menorcan sandals here. I hate summer shoes. You see I have wide, ugly feet. I long to be able to walk about in a pretty scrappy sander but mostly they pinch and rub and I end up back in my Birkenstocks. Maybe one day this summer you could do a feature on sandles for women with wide feet?! I have the same problem and I’ve bought two pairs of old navy sandals (black and tan) this year that have two bands that cross each other (forming a v on the top of your foot). They are the comfy and cheap, although they run a little small. My feet are unforgivably wide, but these work for me, I bet they would for you, too. Wide feet are the curse of all curses…. Ok maybe these are so ugly and tacky, but I just fell in love with Tevas all over again. In my opinion, they have more fresh and new styles/colors…plus they have a flatform which is surprising so comfortable. I know they aren’t the most fashion forward, but I’m obsessed and I’ve gotten so many compliments on them. Yes!! We wore these all the time in Michigan and my boys wear them. They’re soooo comfy and great for the summer. 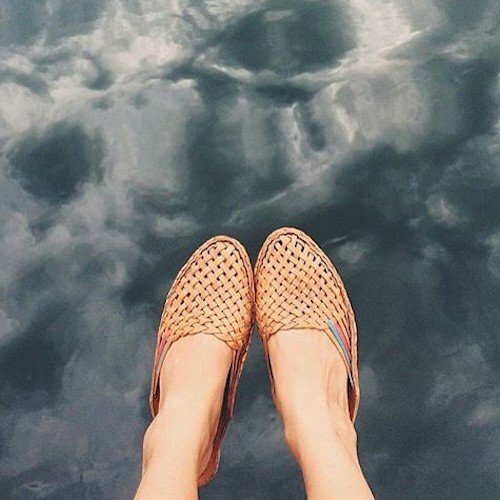 My boyfriend bought me the Seavees espadrille a couple months ago and I recommend them! They’re cute, comfortable, and easy to tie. They go on sale occasionally so that’s also a plus! Can you tell us what the model is wearing in the first photo? Love those best of all! Yes! 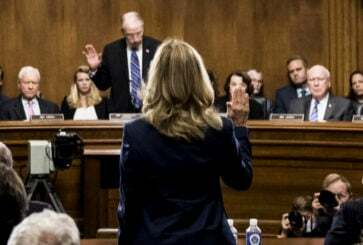 In the credits at bottom –thank you! 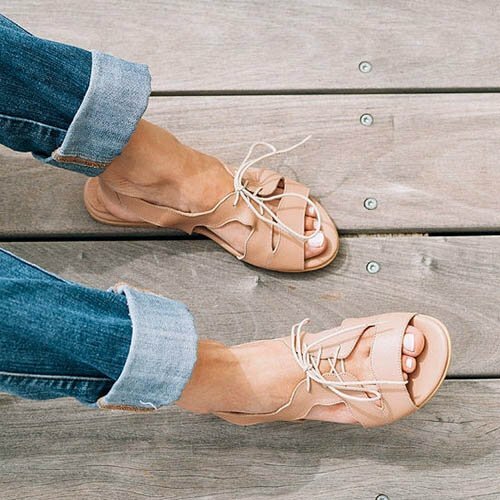 I think they are the Madewell Boardwalk sandals. 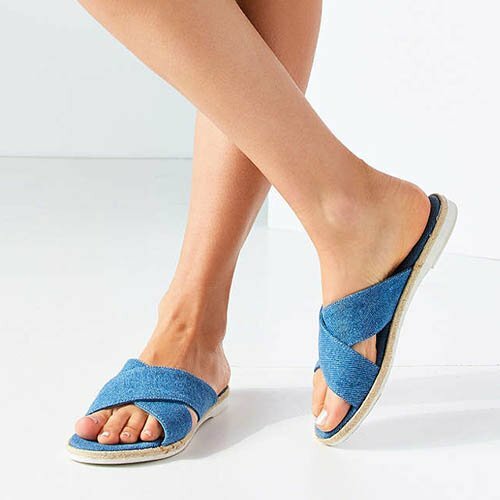 Inspired by your love of the Joie sandals, I finally bought the malta sandals from j crew this year – and can’t figure out how to keep them on my feet with just those two straps across the top. will they break in or am I just not cut out for slides without a strap around the heel?! I love all these, especially those mules. Hurray for sock-free weather! 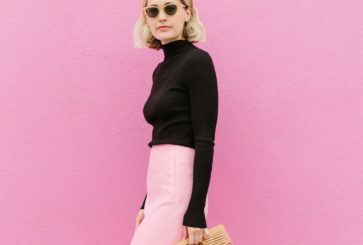 Dying to know what sandals the model is wearing in the top photo. I want that exact pair! Does anyone know the source? I was on the hunt for comfy summer shoes, which are absolutely necessary while living in the city. I tried on the ‘Strappy’ sandals at U.O and they were so comfy! (For anyone who’s curious). Love all of these! But living in the city, don’t you find sandals without backs to be somewhat hazardous? I’ve tripped and/or lost a shoe so many times going up and down stairs, and the worst is when someone steps on the back of it. Like, back up! For that reason I only get sandals with backs now. Agreed! Scrolling through these all I could think was that most of these would not work well for commuting at all if you walk and take public transit. Wish you would feature some options that are comfy but would also stay on your feet (back straps, please)! I’ve been wanting huaraches for so long and these ones look perfect. Did you go down half a size as the site suggests? i actually got my regular size, and they fit perfectly (maybe the teeeeeniest big loose). i have wide feet, though. i think either one would be okay, they’re pretty stretchy! Huaraches are so so wonderful! I would wear them year round if I could. But just FYI, Humble Hilo sells them for $48, fair trade, same materials as the expensive ones (and same degree of wear, it seems, according to comments on the site of the pricier ones). @ Missem, thanks for the recommendation! I basically wear Chacos from March-November. Maybe not the most fashion forward choice, but I love mine and wouldn’t consider anything else. 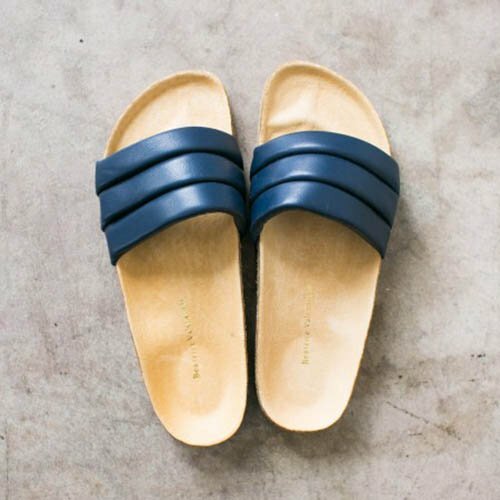 Try Humble Hilo – they have $48 fair trade huaraches that look very similar – it’s a good way to try them out. 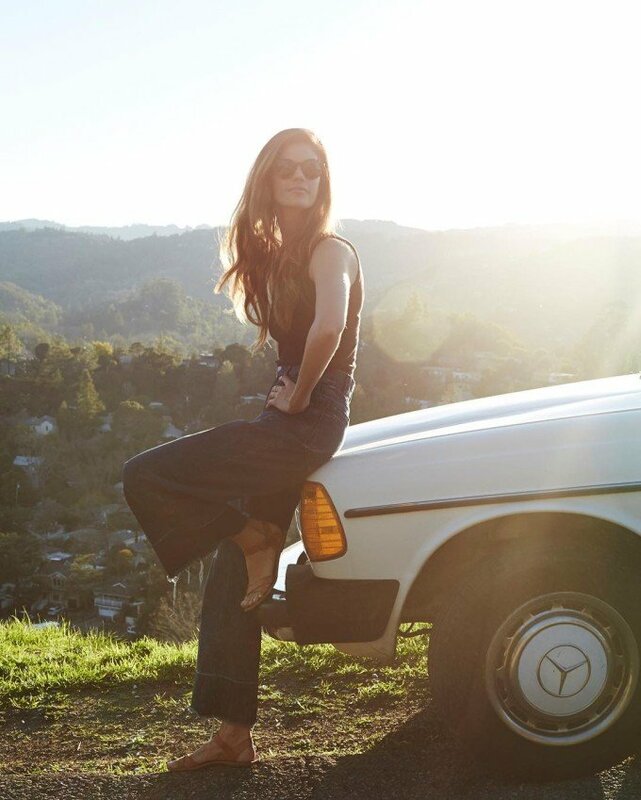 Joanna, I had the pleasure of meeting you last year and have been wearing those Anne Taylor sandals ever since! That said, I’ve had those Avarcas in my Amazon “save for later” list for a while but wondered how comfortable they were. We’re going on a big family trip to Colombia and not sure whether I should pack anything besides my dependable Birkenstocks for every-day wear. they’re SO comfortable. lexi wears them in our office and they’re WAY cuter on. (here are some photos on their instagram: https://www.instagram.com/avarcasusa/) when we lived in the west village, all the cute moms wore them at the playground. I second the fact that Avarcas are VERY comfortable for walking! I live in Boston and wore them all last weekend while my sister was in town and we walked at least 5-8 miles every day. The back strap does its job surprisingly well! I’ve been debating buying them for two years, too, and I can’t decide whether I’ll get navy or tan, though. After thinking about them for years, I bought a pair (taupe, which is much cuter on and I probably would’ve never chosen without studying them oninstagram) and LOVE them. There was no break in period; I can walk miles in them and they look cute with everything. They’ve become my go-to, as in it’s unusual for me to be wearing another shoe. I wish I’d bought them sooner. Plus, I think they’re very responsible (~$80) for handmade shoes from Spain. 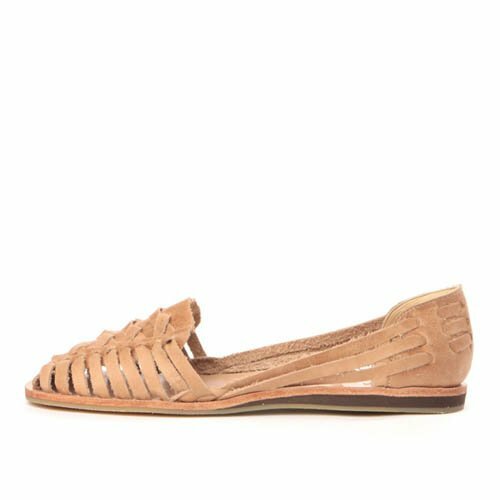 It’s actually too hot around here in the summer to even consider wearing something remotely “closed” around the heel, so I’m always wearing a version of greek leather sandals, something that holds the big toe cause I can’t do sliders any more, apparently, and that’s it. I get them for around 30eur/pair, and I usually have one black pair and one neutral (natural tan or gold) colored and they last for 2-3 years. :p Talk about low maintenance! I love the huarache sandals too! I love this! I live in sunny Florida so comfy sandals are a must! Thanks for sharing these! 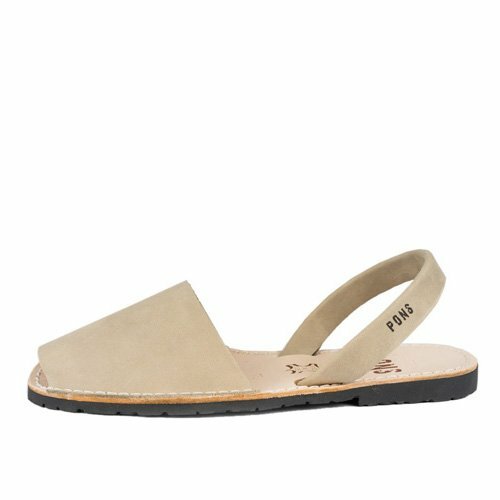 Salt Water Sandals are cheap ($40), come in lots of colors and are surprisingly comfy. This is my first year wearing them and I love them! (The sizing is a little tricky but I read a bunch of reviews on Zappos and tried two different sizes to figure it out). yes! i’ve seen some women at the playground wearing them and they look so cute! 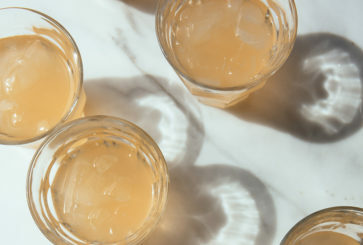 Has anyone tried the Pons Avarcas? They look so simple and chic, but I’m worried they’d hurt or the back strap would flop off your heel. I just bought my first pair and I love them! I have a really narrow heal and I was worried about the same thing but it doesn’t budge. I can ride my bike in them without worrying I’ll lose a shoe along the way. I love that they are a little more closed. I live in SF and it’s not always all that warm. Plus they feel appropriate just about anywhere since it’s not a “toe show” ;). hahaha re: toe show. that also helps when you desperately need a pedicure! They didn’t work for me bec I was between sizes. Found them to be just ok. I finally ordered a pair of Pons Avarcas after having them on my Amazon wish list for 2 years. I’m so pleased, and I have very picky feet! I’m between sizes so I went smaller and the leather has stretched out nicely. No heel slipping or blisters at all! I love my Pons Avarcas, and my 5 year old has matching ones. Wait, Joanna, do you exclusively wear Converse in NYC winters? I wouldn’t be able to survive here without snow boots after ruining several pairs of cool sneakers. I have sandals in various styles and colors. Toms, Crocs, Clarks, B.O.C., Rainbow, and Palm Beach. All are extremely comfortable, especially Palm Beach. 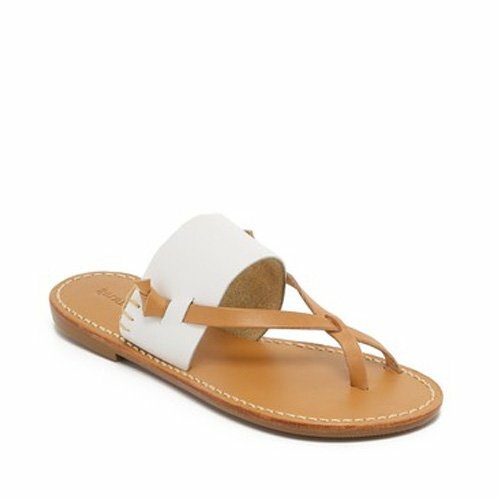 They look like Jack Rogers, but Palm Beach are the originals, all leather and all handmade. They have no break in time. Rainbow flipflops are super comfy, but do require a break-in period. Once broken in, they conform to your foot, and they have an arch support, which is lacking in flip flops and many flat sandals. I have Toms sandals from previous summers, so they are comfy and durable. These are the flat styles, as the wedges are too high for me. Nordstrom’s half-yearly sale for women is on now, so now is a good time to shop. Has anyone tried those Mohinders sandals? I’m so intrigued by the shoes and the company. I’ve owned the Women’s City Slippers for about a year now and absolutely love them. I wear them almost everyday- the kind of shoes that just mold to your feet! Inspired by Elaine in the Putumayo episode of Seinfeld (“See these?! Cinco do Mayo! Sale commission – buh bye-o!”), my husband has been suggesting that I get a pair of huaraches. The ones you link to look fab – they would go with everything! Thanks for your review and the suggestion. Although it’s fall in Buenos Aires, I can appreciate a gorgeous pair of sandals for summer :D So many beautiful options! Love this! Joanna, do you have any favorite sandals for traveling in Europe (without looking super touristy)? I love Kelsi Dagger Brooklyn sandals, especially the Montana. Her shoes have a leather padded bottom so they are super comfy. My feet usually hurt from most of the shoes listed since they are stiff bottomed shoes. Gee WaWa also has leather padded soles on the inside which make for comfort along with style! I’m so loyal to my naots (they look just like birkenstocks!) I know they’re super trendy these days, but anyone who went to Israel as a teenager has been wearing them for ages! I also love saltwaters & swedish hasbeens, and just bought a pair of pale pink vans I know I’ll be wearing all summer. I love that woven Urban Outfitters pair! I’ve been wearing my Joie ‘A La Plage’ sandals for 3 summers and they’re finally starting to give up on me. I cannot decide if I wanted another pair of the same (I really do live in them!) or if I should try something now. Great options!! i got a knock-off from Loft for $19 and the bottom broke in one summer! so three summers makes them sound like a good pretty long-lasting shoe :) the black/brown ones also go with everything. I feel so old saying this, but I wish there were more cute sandals out there with arch support! Those super flat ones are cute for sure, but can cause pain after a day of wear, ya know? Right here with you:) Need the arch support! I’m a huge Birkenstock girl. I think those cork soles might work though. I’m with you, fellow Kate – I’m 30 and I can’t wear anything that doesn’t have really good support. I have to stick to Birks and Chacos :-/ Whenever I cheat, I regret it for days! i need arch support but i just ignore it! (insert cringing emoji here) i’ll try to look around for more options! Same! Honestly, I just wear a pair of cute sneakers….I have a pair of New Balance classics from Athleta that I’ll be wearing all summer. I have a pair of Aerosoles, the style is what we call nu-pied–a single slim strap that goes from the thong between the toes in front to the cross-strap, plus a strap in the back so they don’t slap when you walk. Very comfy and minimalist.